Students and families confront a detrimental lack of information and transparency when making one of the biggest financial decisions of their lives: paying for college. 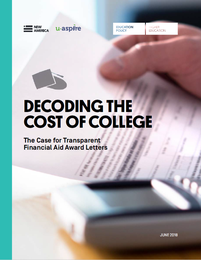 New America and uAspire, a nonprofit leader on college affordability, analyzed thousands of financial aid award letters and found not only that financial aid is insufficient to cover the cost of college for many students, but also that award letters lack consistency and transparency. As a result, it is exceedingly difficult for students and families to make a financially-informed college decision. While solutions for tackling the cost barrier may be complex, solutions to improve award letter terminology and formatting are well within reach. Through a quantitative analysis of over 11,000 financial aid award letters, we found that students who receive a Pell Grant are still left to cover a significant gap—an average of nearly $12,000. The gap persisted even when students made cost-saving decisions about where to attend (public versus private colleges and universities) or where to live (at home versus on campus). Given that financial aid falls short, clear and consistent communication on award letters is critical. Omission of the Complete Cost: Of our 515 letters, more than one-third did not include any cost information with which to contextualize the financial aid offered. 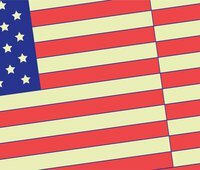 Failure to Differentiate Types of Aid: Seventy percent of letters grouped all aid together and provided no definitions to indicate to students how grants and scholarships, loans, and work-study all differ. Misleading Packaging of Parent PLUS Loans: Nearly 15 percent of letters included a PLUS loan as an “award,” making the financial aid package appear far more generous than it really was. Vague Definitions and Poor Placement of Work-Study: Of institutions that offered work-study, 70 percent provided no explanation of work-study and how it differs from other types of aid. Inconsistent Bottom Line Calculations: In our sample, only 40 percent calculated what students would need to pay, and those 194 institutions had 23 different ways of calculating remaining costs. No Clear Next Steps: Only about half of letters provided information about what to do to accept or decline awards, and those that did had inconsistent policies. Based on these findings, we present seven policy recommendations, calling on federal, state, and institutional parties to create systems-level change. Federal policymakers should conduct consumer testing, and then set and require award letter standards via federal mandate. State governments should adopt common award letter terms, calculations, and formats across their systems of higher education. Colleges and universities should develop more student-centered financial aid offers and tools, as well as align their efforts with other key departments serving student financial needs. To read the entire report, please download it here.